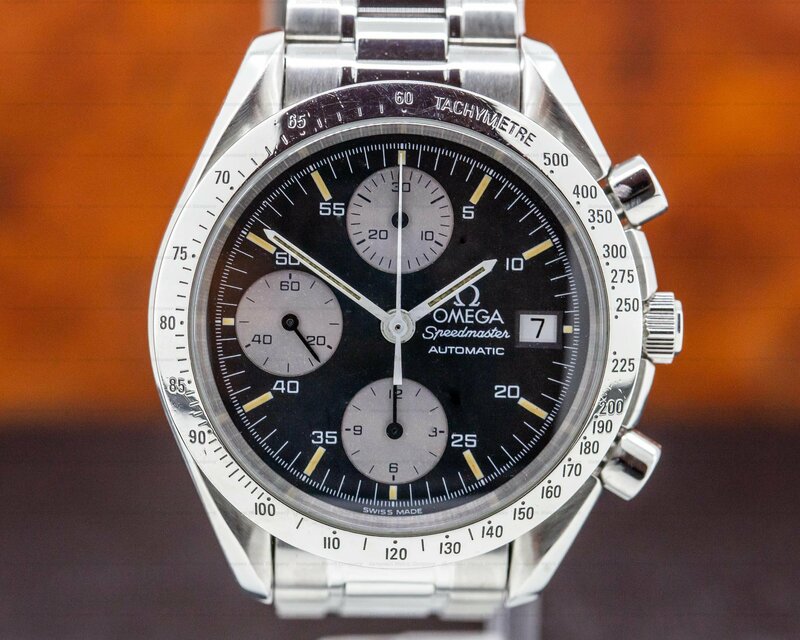 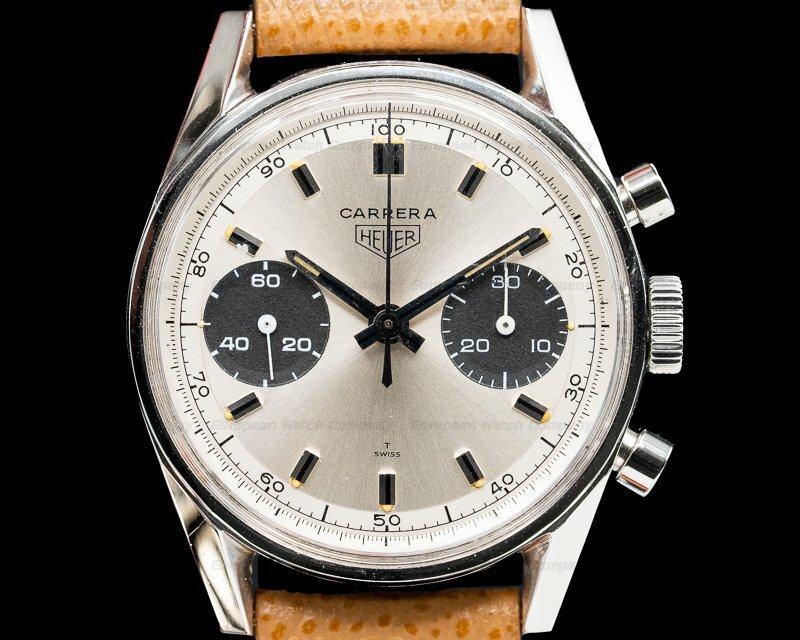 This is a vintage c. 1970's stainless steel Heuer Carrera 7753SND. 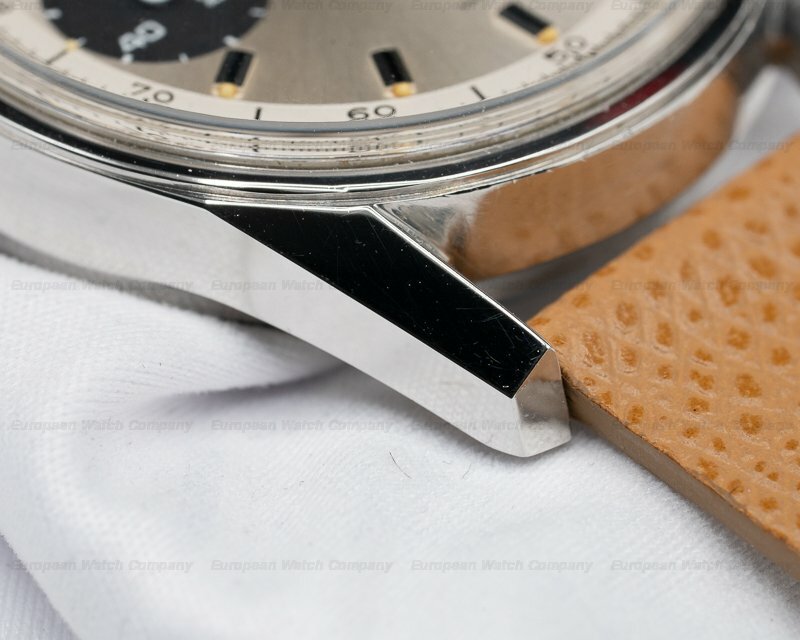 It has a leather strap with a stainless steel tang buckle, and an acrylic crystal. 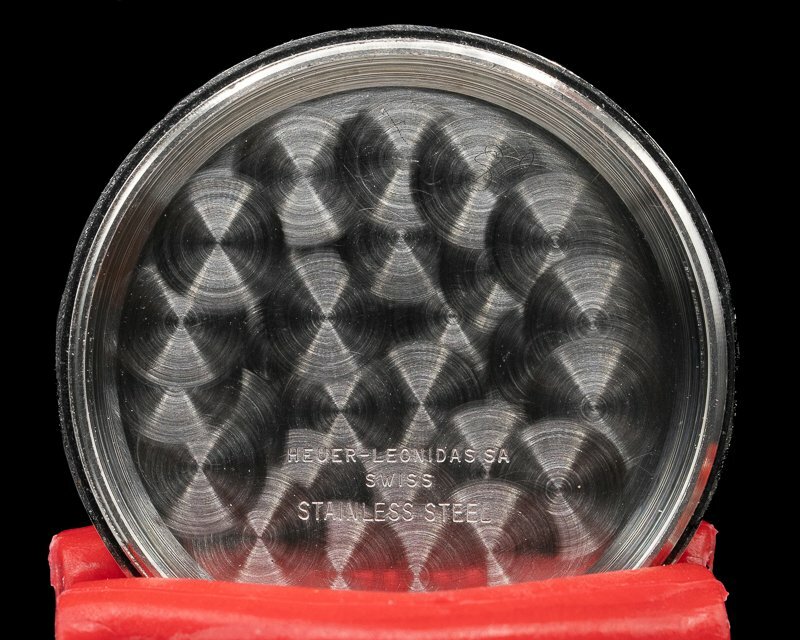 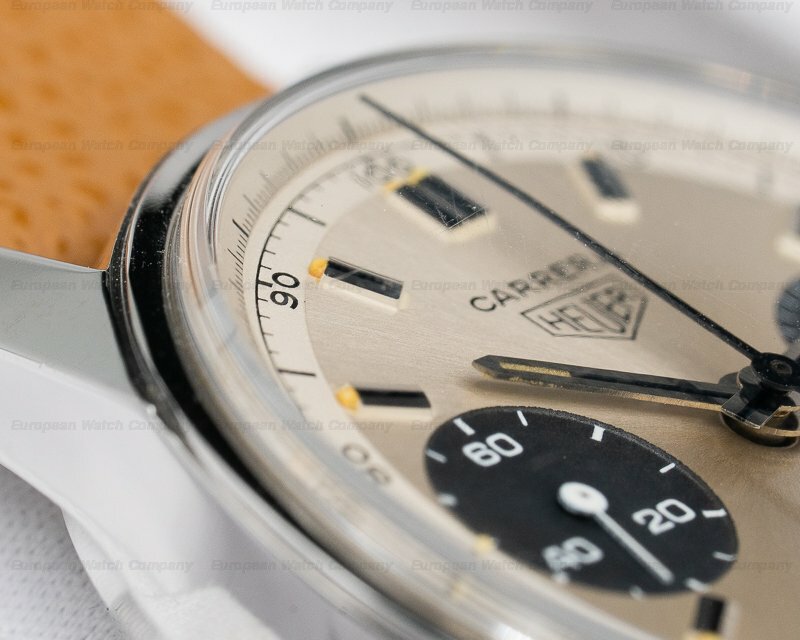 It has the original Heuer winding crown, "pump" style round chronograph push buttons, and a screw down solid case back inside of which is stamped "MEYER – LEONIDAS SA – SWISS – STAINLESS STEEL." 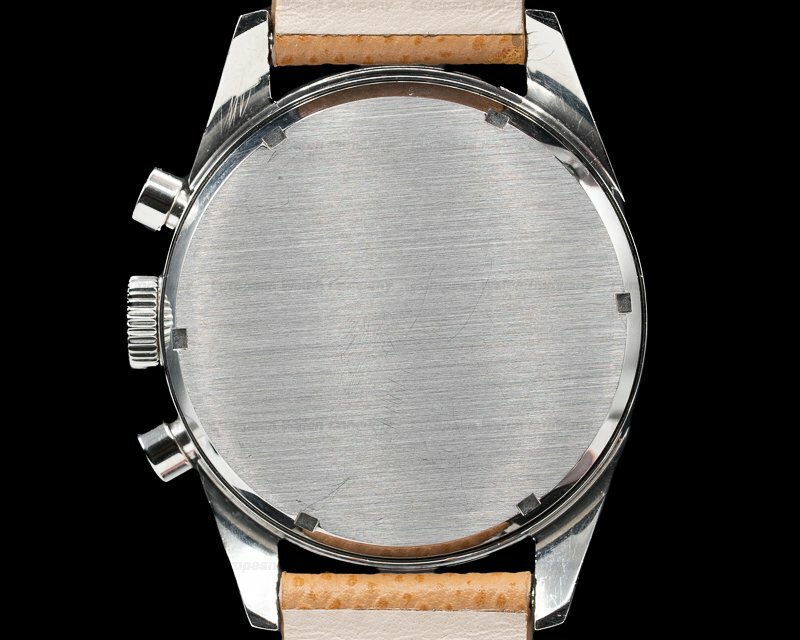 THE 35mm diameter solid three-body case, straight lugs, bracelet, and thin rounded bezel, are polished/brushed. 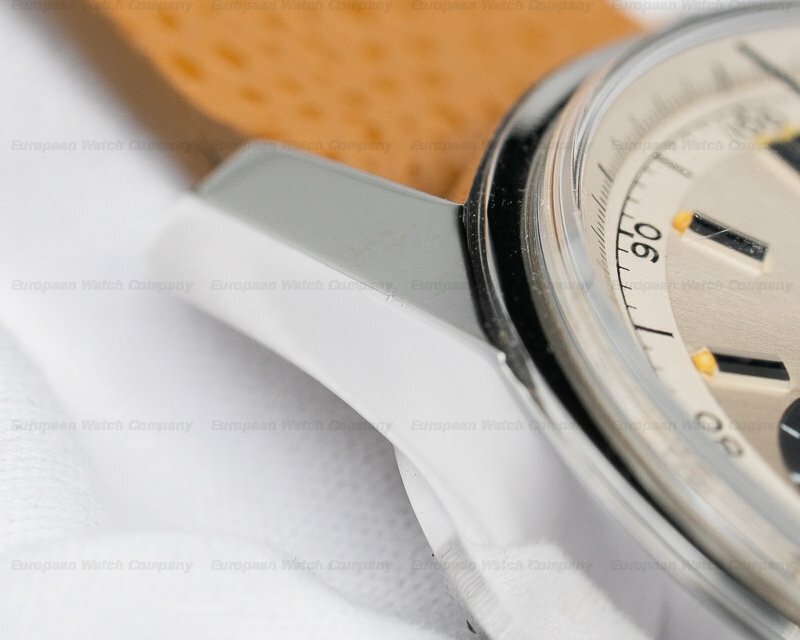 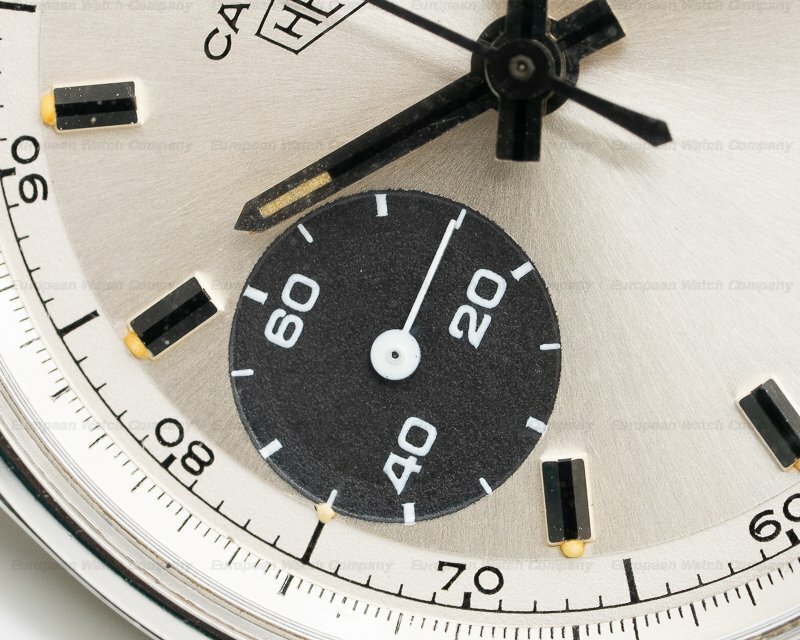 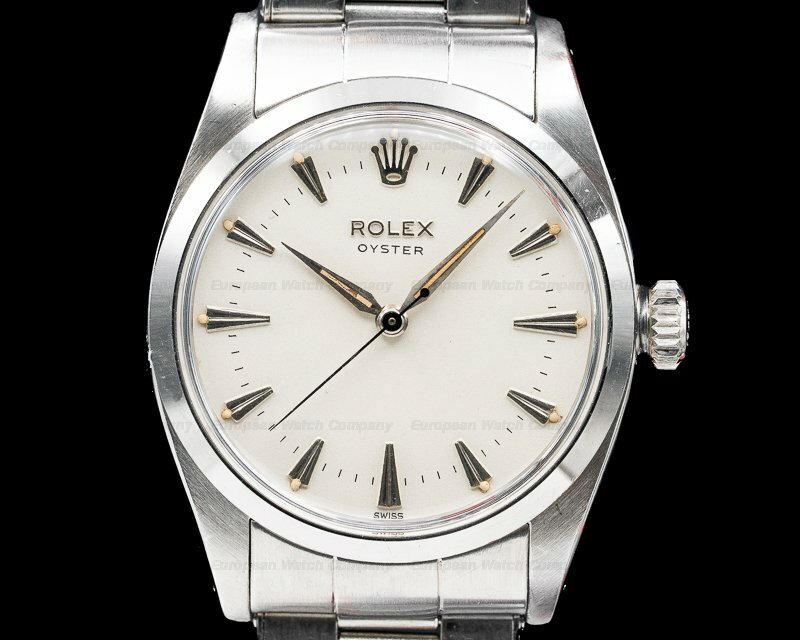 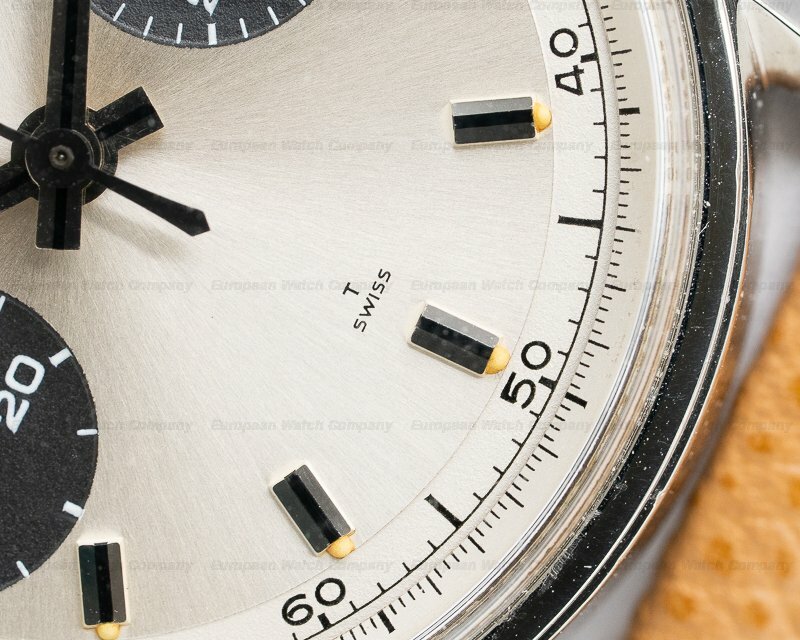 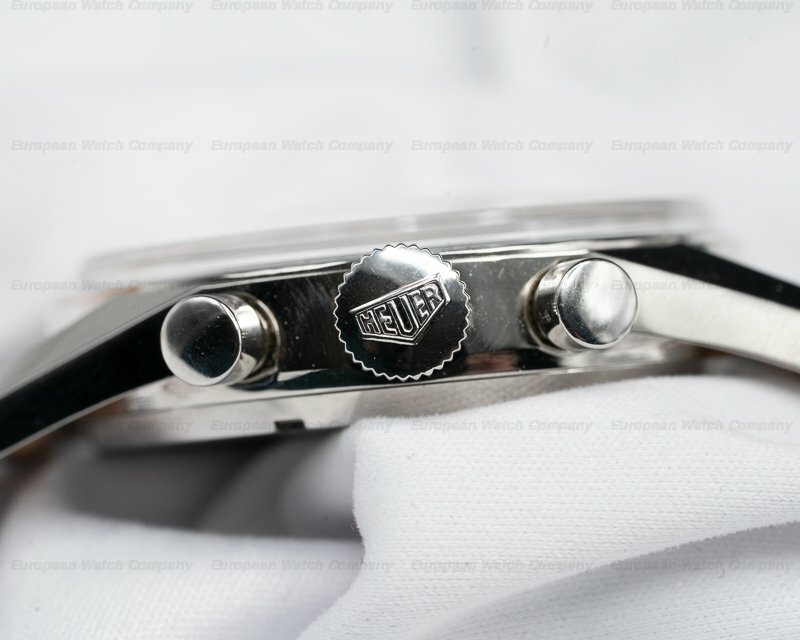 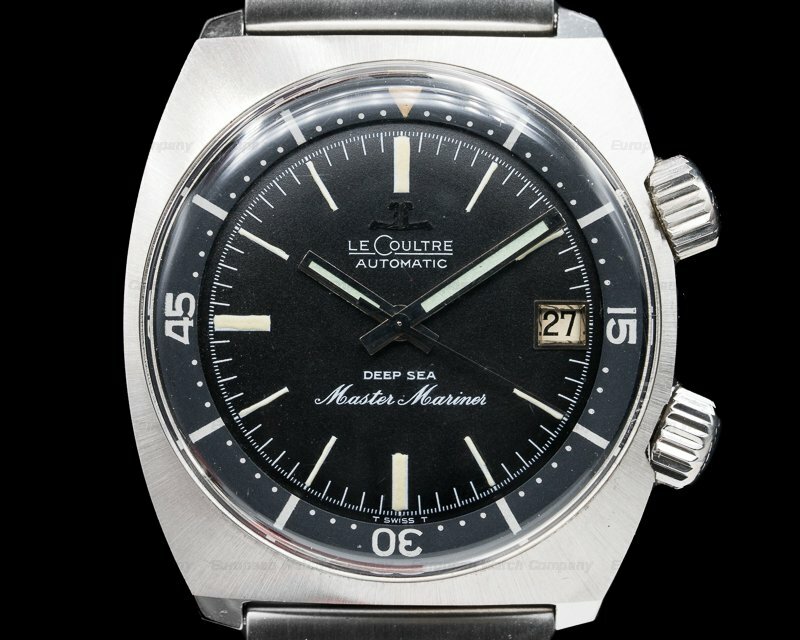 It includes the original silver dial with applied faceted baton hour markers with luminous dots, around a recessed perimeter minute/one-fifth second scale. 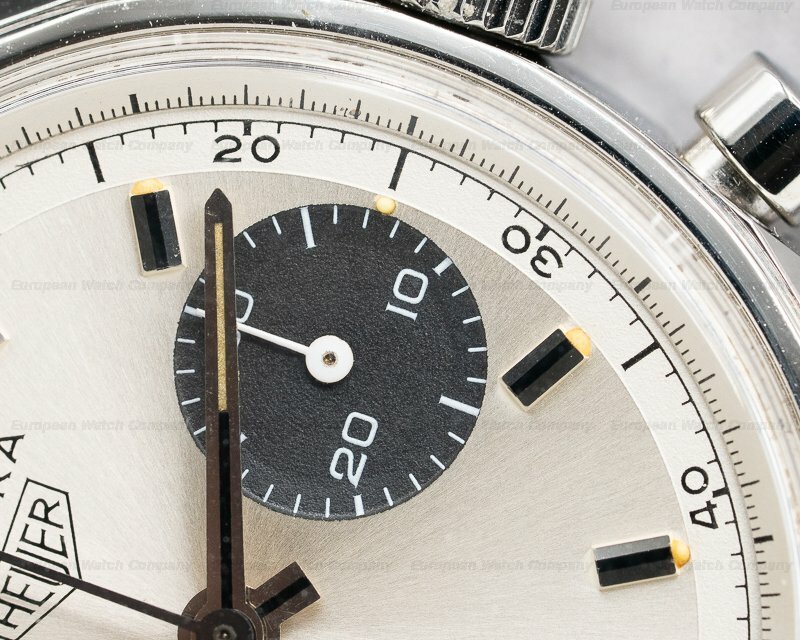 The decimal minutes scale is very rare on these references. 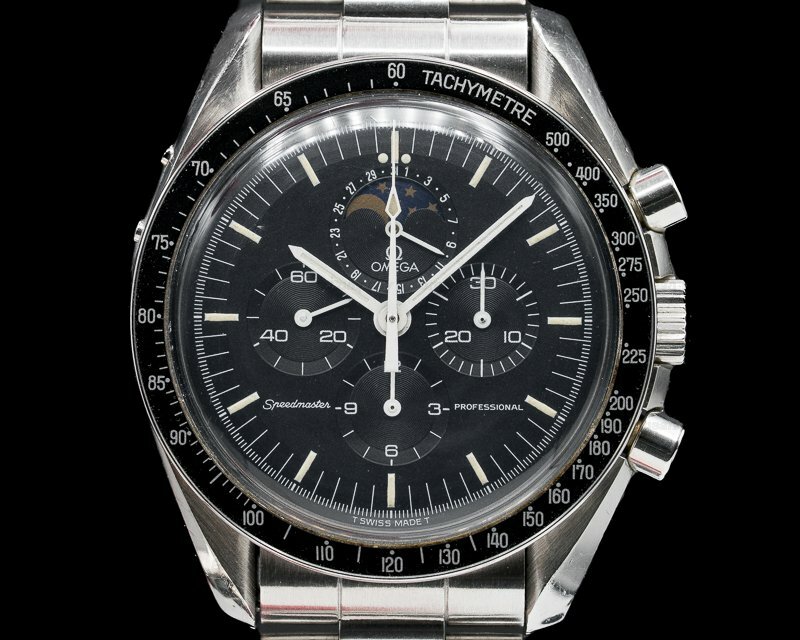 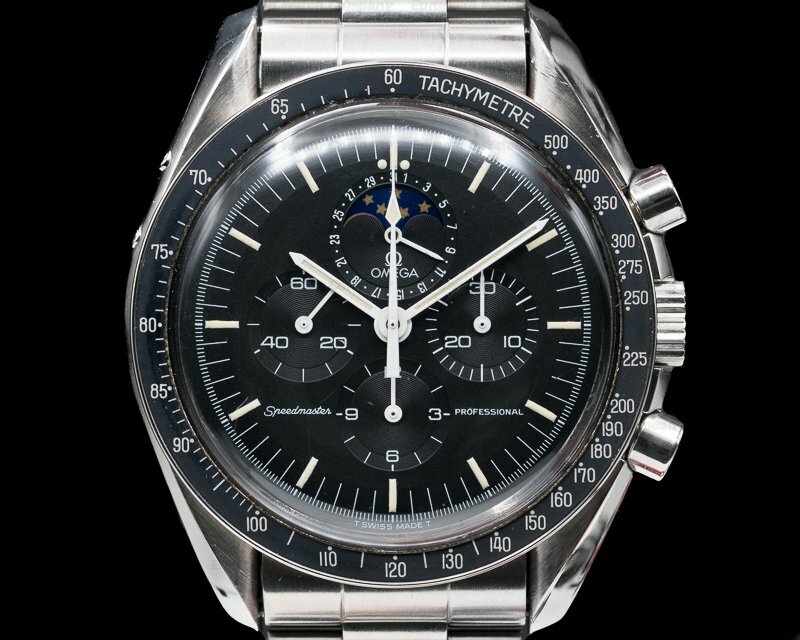 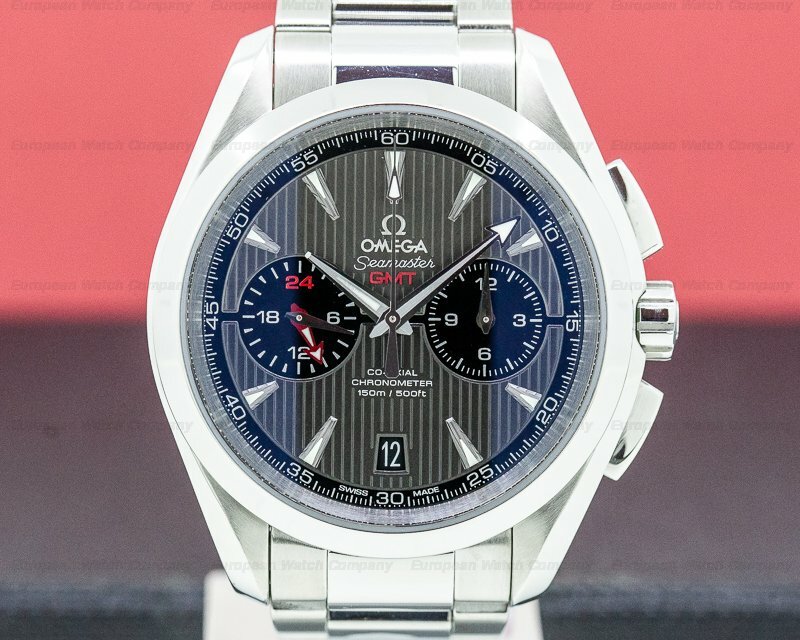 It has the original steel baton hands with luminous inserts, and a steel center sweep chronograph seconds hand. 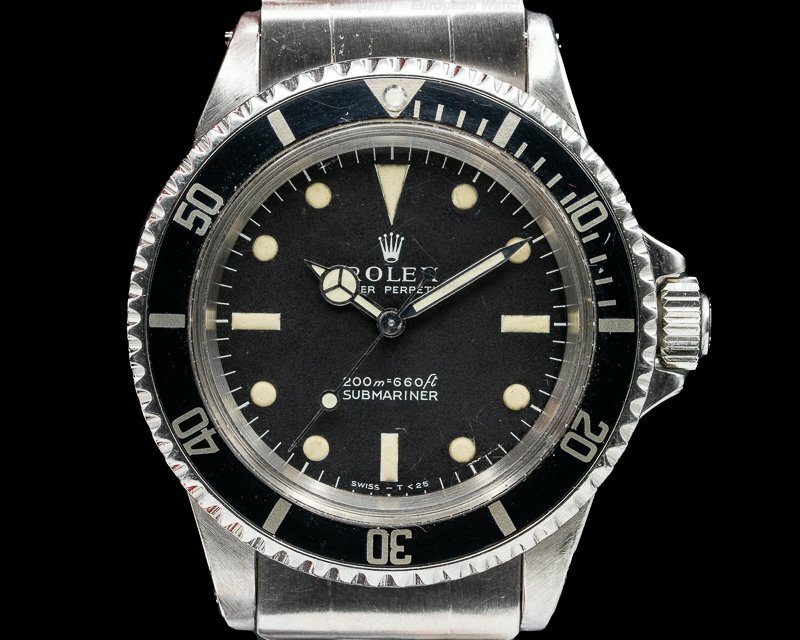 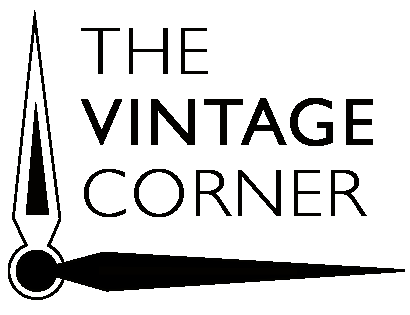 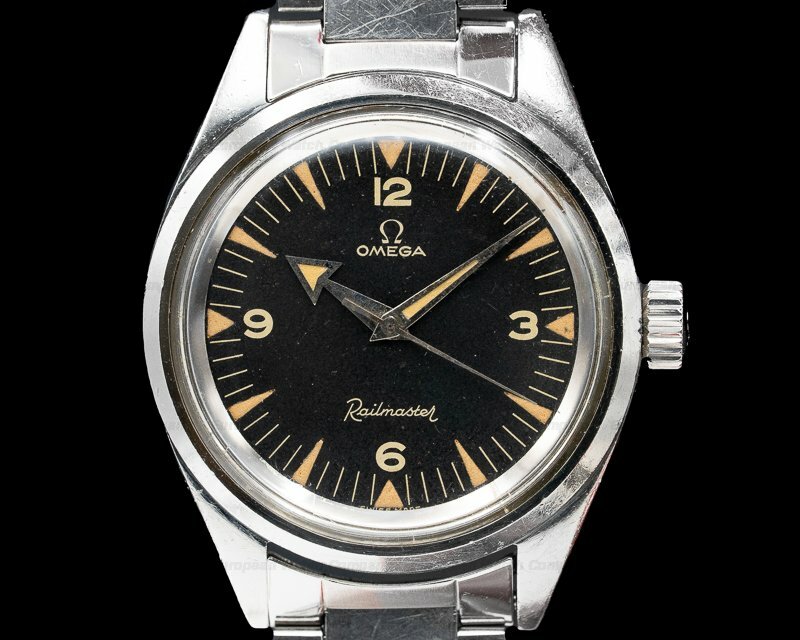 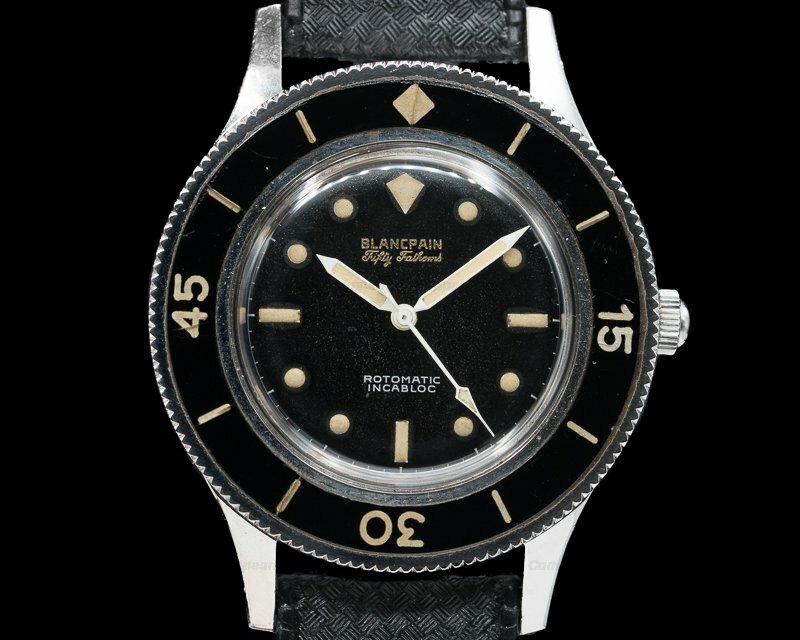 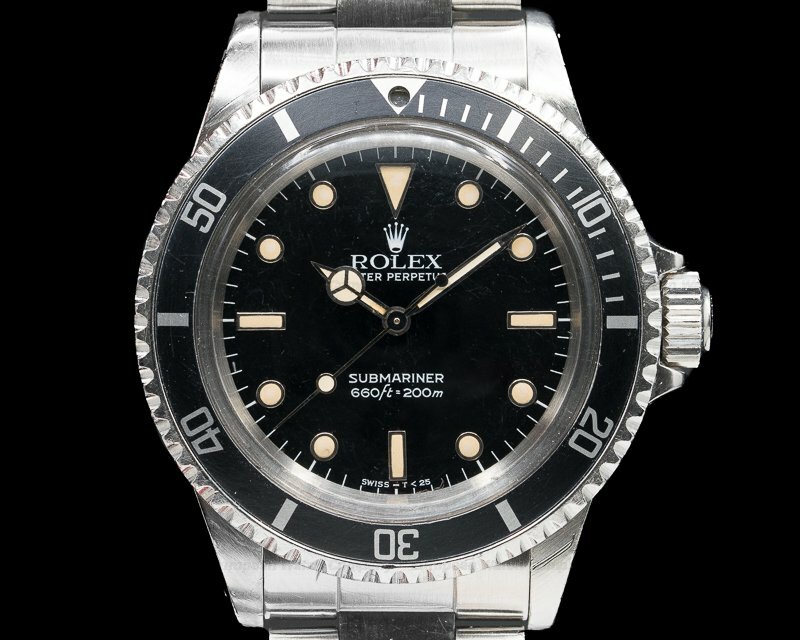 There are two recessed black subsidiary dials with white Arabic numerals, markers, and hands, including a running small seconds register at 9 o'clock and there is a 30-minute totalizer at 3 o'clock. 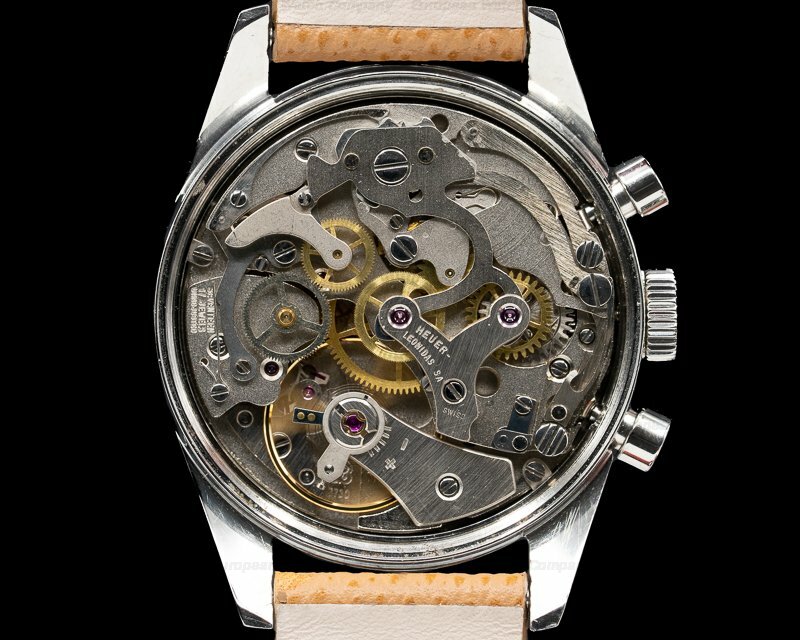 It has a 48-hour power reserve at full wind, and the 12mm thick case, dial, and movement are all signed. 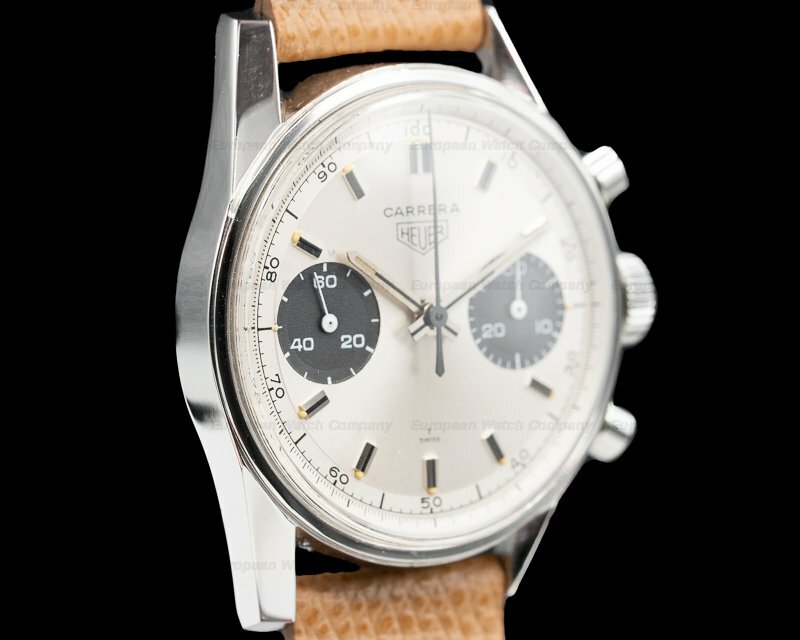 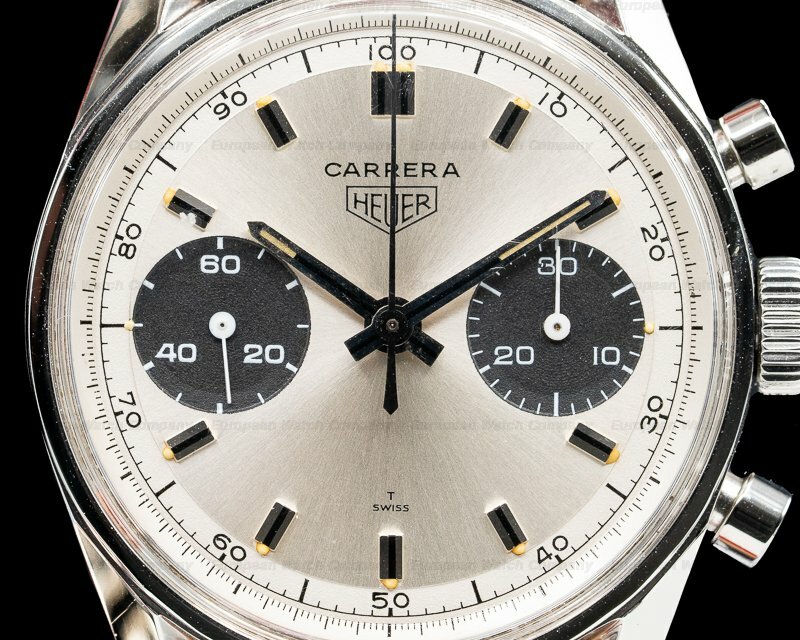 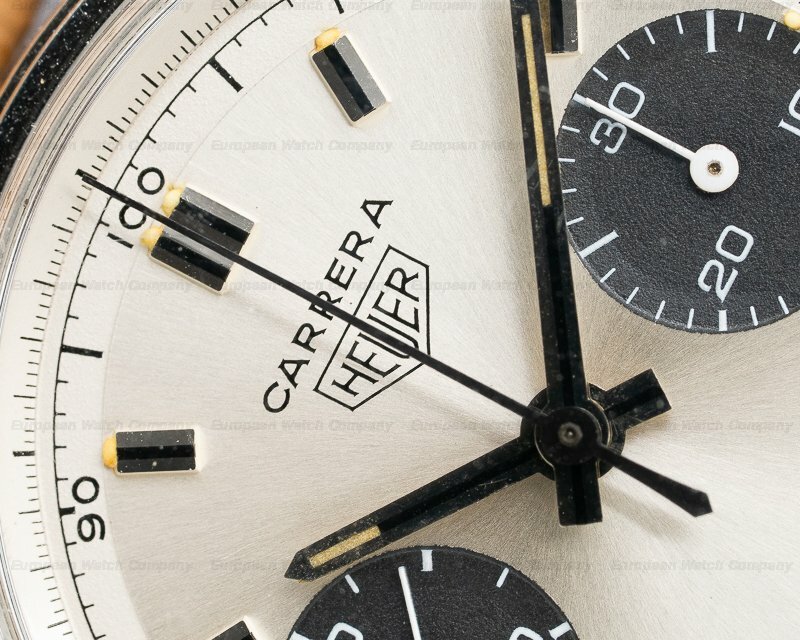 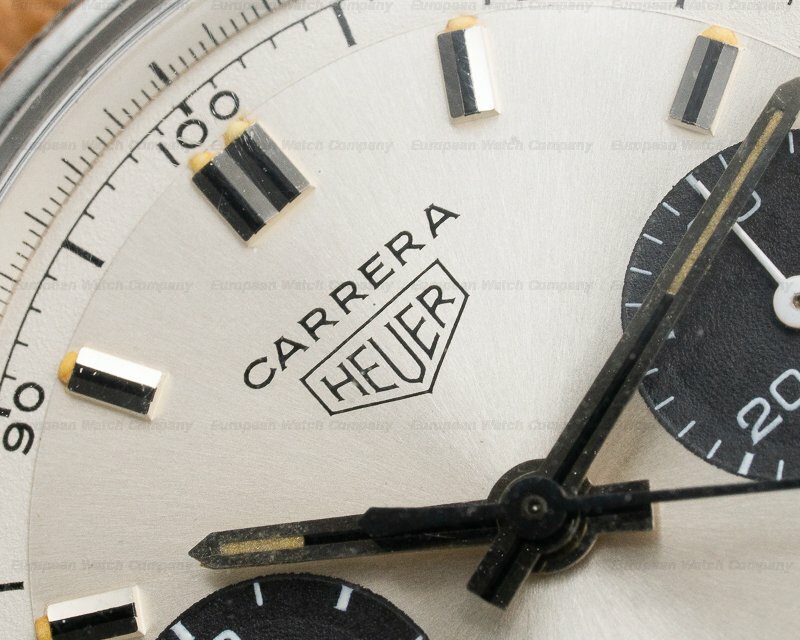 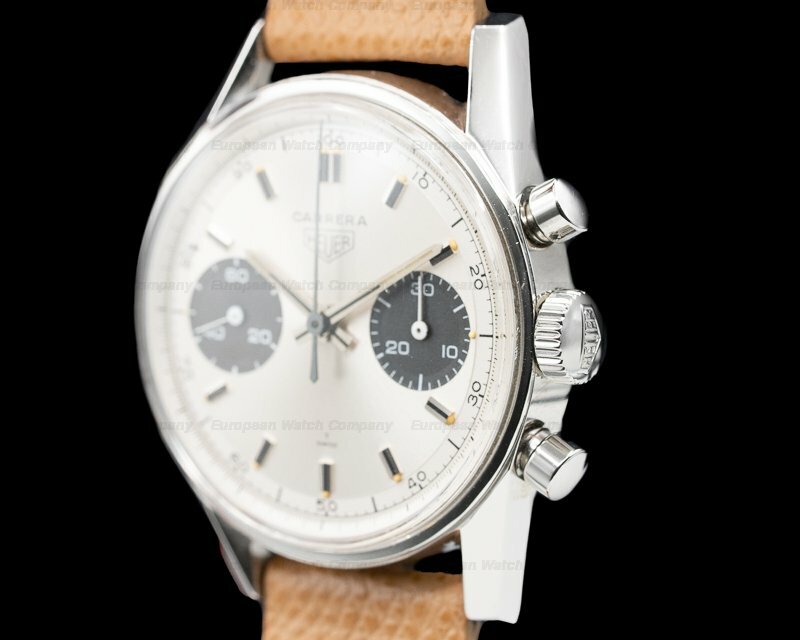 The Heuer Carrera 7753 was introduced in 1970.